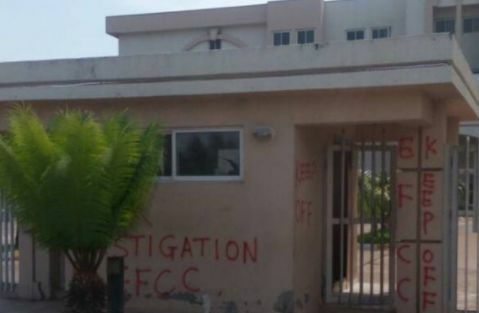 Three choice properties belonging to the immediate past Governor of Benue State, Gabriel Suswam in Makurdi has been sealed off by operatives of the Economic Financial Crimes Commission. The properties are his residential home in HUDCO quarters, the Metropolitan Hotel and a residential building (still under construction) close to the River Benue. The properties were sealed off following allegations that he misappropriated N107 billion during the 8 years of tenure as governor. The Justice Elizabeth Kpojime Panel of Inquiry had submitted that 52 persons among them Suswam return various sums of money amounting to N107 billion.